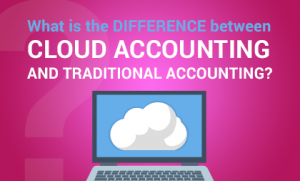 What is the difference between Cloud Accounting and Traditional Accounting? In this video Kim talks about what the differences are between the traditional methods of accounting and Cloud based software ? This really is accounting in the 21st Century! This entry was posted on Tuesday, December 19th, 2017 at 11:23 pm and is filed under Knowledge Centre. You can follow any responses to this entry through the RSS 2.0 feed. Both comments and pings are currently closed.